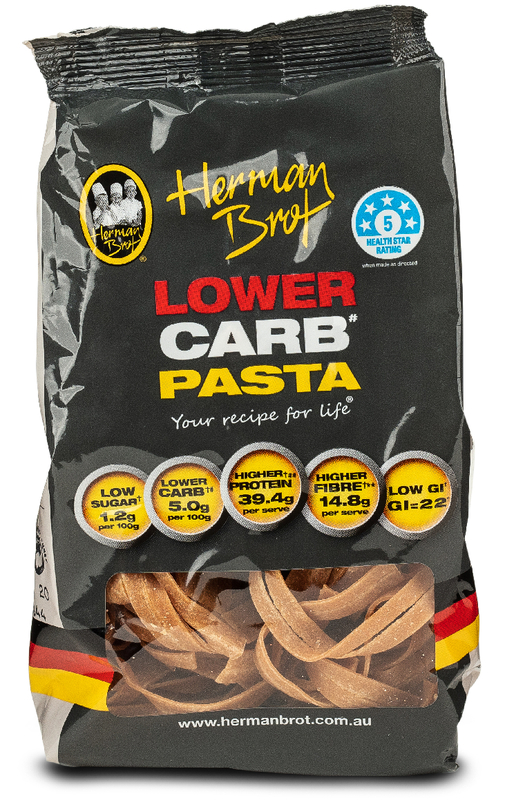 It’s not all about the High Protein, Low GI and Low Carbohydrates also make this Pasta the most revolutionary around today!Herman Brot Pasta is loaded full of natural protein that will allow you to eat pasta again. Contains Wheat, Soy, Rye and Oats. May contain milk, egg, lupin and other gluten cereals. Protein Mixture (43%) (Wheat Protein, Soy Protein, Rice Protein), Soy Flour, Oat Fibre, Wholemeal Wheat Flour [Contains Vitamin C], Thickener (Guar Gum), Canola Oil, Water, Salt, Sugar, Dried Rye Sourdough (Contains Rye, Starter Cultures), Emulsifier (Lecithin). Get Our LOW CARB PASTA Now! In Australia, approximately 2 million people have been diagnosed with diabetes. If this current trend continues it is estimated that up to 3 million people over the age 25 years will have diabetes by 2025.We are proud to offer a unique low carb, low GI bread. These characteristics perfectly position this bread to be an integral component of a healthy balanced diet in supporting weight loss and blood glucose control.Our bread has a certified Glycemic Index of 24 and a Glycemic Load of 1 –conducted by SUGiRS – University of Sydney, AustraliaResearch has identified, that a low glycemic index diet assists in reducing appetite, weight loss, improving lipid profile, significantly improving blood glucose control in people with diabetes. A low glycemic index diet results in lower blood glucose and insulin secretion and therefore potentially preventing the onset of diabetes.